Finding a true rock/pop indie band that knows what they’re doing can be like searching for a needle in a haystack. Whether due to production costs or lack of experience in today’s increasingly synth-heavy industry, few indie bands have the means of even attempting to aim for the genre. Even fewer feel comfortable doing so. But as they say, if the shoe fits, you might as well wear it until its out of style. And for the Cinderella story of Death of Paris, they’ve been rocking that slipper since ’09. Their latest EP, GOSSIP, released November 19, 2013, is the next step to their inevitable stardom. Churning out six kinetic tracks, the band has produced a sound that would be hard for any listener to experience passively. But, if one did manage to close their eyes while the EP rocked the speakers, they’d be hard pressed not to picture the tracks on Top 40 radio. Fronted by one of the more talented female vocalists in the state, the band excels at pulling off a modern rock/pop vibe while being musically intricate enough to keep you guessing. But, ironically enough, the execution of their overall sound isn’t the main feature harped on when this band is discussed. The most popular mantra heard when critics speak of Death of Paris is their penchant for cranking out insatiable melodies. It’s these melodies that are the staple of all Death of Paris tracks, and their latest six track EP is no different. But don’t let their head-bobbing, easy-listening refrains fool you; this isn’t your sister’s pop band. 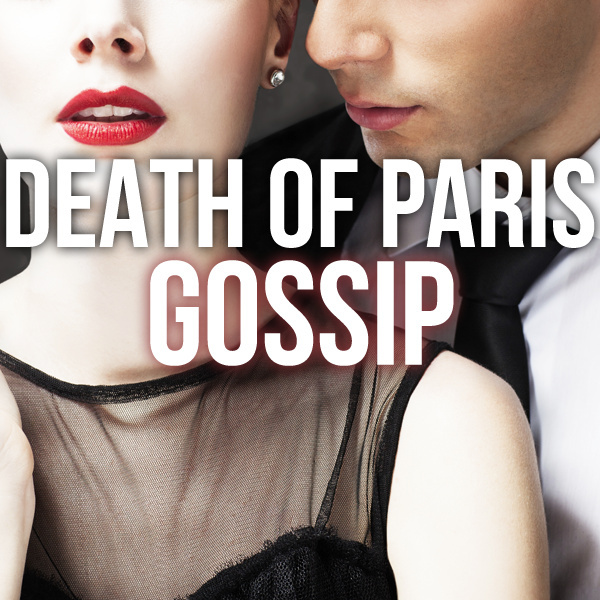 Death of Paris is one of the hardest working group of musicians out there. Unsigned, unmanaged, unrepresented. Self-booked, self-promoted, self-funded. These are a few of the words that described Columbia native Death of Paris at the beginning, and still words that describe them and their new EP today. And they’re perfectly fine with it. Starting a band out of college and not pursuing a career seems like suicide. Or at least the equivalent of taking a new full-time job that tells you you’ll be paying your own salary. Out of your empty bank account. That’s the situation co-founders Jayna Doyle (Vocals) and Blake Arambula (Synth, Guitar) found themselves in five years ago. But this adversity has lead them to where they are today. Now a full band that’s touring up and down the East Coast and expanding their fan base with every show. As they state on their website, they don’t believe in 9-5’s. And the happy ending of their Cinderella story has already proven they don’t believe in midnight either. Because though the clock may have looked close to 12:00 five years ago, the real dance for Death of Paris is just getting started.